Relate: “God is Spirit, so those who worship Him must worship in spirit and in truth.” One cannot hear this without echoing Pilate’s most famous of questions: “What is truth?” The Father is looking for those who will worship in truth. I want to be one of those. So this question is of utmost importance. The thing is, there are a lot of widely different ideas about what truth truly is. Within the past hundred years, one theory that has risen to the forefront in popularity is the pragmatic theory of truth. 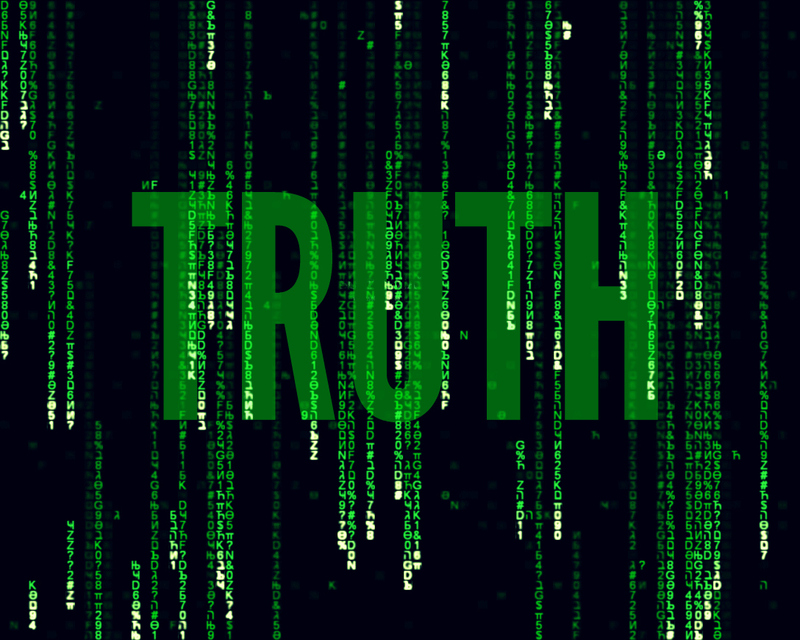 Thinkers like William James and John Dewey basically say truth is something that works. It is a concept that can be applied or verified. Post modern thought has grabbed hold of this concept, twisted it, and ran with it in the wrong direction. Statements like, “Whatever works for you” or, “That’s fine for you but for me I believe…” are twisted versions of the pragmatic theory. Basically truth has become whatever a particular individual is comfortable believing. Another theory of truth that has been on the rise for the past few decades is the consensus theory. This states that whatever is generally agreed upon must be true. You can see this theory at play in politics. Generally the republicans believe one thing and the democrats another (or the labor and conservative parties, or the nationalist and communist parties, depending on where you live) but if both (or all) parties tend to agree on a particular issue then that must be true. Hegel and Marx both held to a theory of truth that is often still at use by historians today. They say that truth is actually an historical or social construct. We only see and know truth as such because we have been raised within a culture that has developed to understand reality through various historical or cultural lenses. Those raised in Asia Pacific would have a very different understanding of truth than someone living in North Africa or Western Europe. For the constructivist, truth varies based on a person’s culture or history. There is also the coherence theory of truth but I would have a hard time in brief space trying to show how it is actually different than the pragmatic theory. To be honest, I really think the pragmatists are no more than a variation of this theory which says truth is what fits a logical set of principles. I tend to be in agreement with Aquinas on the issue of truth. Reality is what it is and truth is the process of accurately conveying objective reality through our words or thoughts. All the other views state that reality is constructed in some way by the individual or collective intellect. The correspondence theory of truth flips that. Objective reality is what it is and our responsibility is to conform our understanding to that truth. Truth isn’t shaped. We are. React: When Jesus says that we must worship in spirit and in truth it is this last idea, the correspondence theory, that He is speaking about. The Greek word we see used is “Aletheia” and it isn’t referring to a spoken truth but rather a reality. It is a truth revealed. When we worship God, we cannot simply do so however we like. We can’t just worship Him in a way that seems to “work” or make us feel good. The phrase, “To me God is…” has no value here. It doesn’t matter what we want to believe about God. What matters is who God is. He has revealed Himself to us and it is our responsibility to conform our intellect, and our worship, to that revelation. We don’t have a choice in the matter. In truth lies worship. In preference lies only idolatry. God, You are Truth. Help me to shape my mind and understanding around the reality of who You are. All too often I try to worship instead who I would like You to be. Forgive me for that. My mind is too small to truly grasp the greatness of who You are but help me to strive to understand. Help me to embrace the revelation found in Jesus through scripture. Help me to ever know better and understand more fully that I might worship You more fully. This is my highest calling. Help me to ever live towards it. Reblogged this on Wisdom for the Day. Thy will be done! a tall order! Very good blog…thank you! I can’t ‘like’ it from here, or I would have. Still can only like blogs from the reader section of WordPress. I believe most men shy from the truth because they are comfortable in their fashions. And they will pursue those fashions as though they were truth, because it is there that they believe they will find there happiness, and not in truth. When a crowd is rushing in one direction and an individual is walking in the opposite direction, that individual seems insane until the crowd rushes over the edge of a cliff. Truth is contrary to man’s tendencies. Man’s inability to overcome his fallibility makes him not the purveyor of truth that one can hang his hat on. That fact puts truth in another camp; the camp of the infallible. Undeniable truth then lies solely with God. Very well put! Truth is what the Bible teaches to be the result of an attribute of God, which is holiness. “Let God Be true, and every man a liar.” From that point, we build upon the faith only He can give us to trust in Him as He teaches us what truth is. GOD anahakikisha kwamba NO WEAPON FORMED AGAINST US SHALL PROSPER. MAADUI watafanya kila wawezalo na hawatafaulu.for as long as GOD IS ALIVE AND JUU MBINGUNI…………………………wanafanya kazi bure milele.watafanya hadi wakufe bila kuona kazi zao ziki faulu. For their rock is not like our Rock, as even our enemies concede. But the rock of our enemies is not like our Rock, as even they recognize. For their rock is not as our Rock; our enemies are by themselves. “Indeed their rock is not like our Rock, Even our enemies themselves judge this. But their “rock” is not like our Rock; even our enemies concede. For their rock isn’t like our Rock, as even our enemies admit. For our enemies’ rock is not like our Rock, as even our enemies concede. Their rock isn’t like our rock. Even our enemies will agree with this. For their strong one is not as our strong One, and even our enemies are judges of this. “In truth lies worship. In preference lies only idolatry.” Good word. I’ve always appreciated that in Hebrew and in Greek the word for “word” can also be translated “thing.” In other words, the linguistic culture of the Bible didn’t separate concepts from their reality. Word and thing were synonymous. Consequently God–ultimate reality Himself–is known through His Word. Everything must conform to what He says since that is also what He is. “In the beginning was the Word, and the Word was with God, and the Word was God” (John 1:1). Blessings!